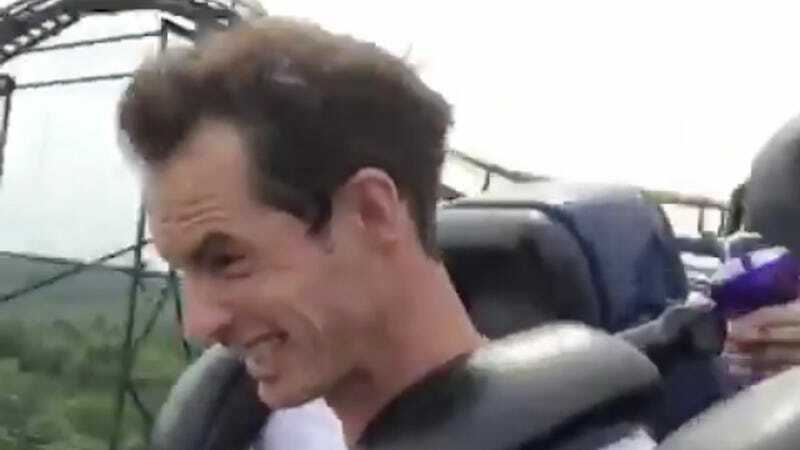 Andy Murray had some fun at an Ohio amusement park on Friday, riding a roller coaster alongside Nick Kyrgios, laughing his weird laugh, and trying (or not) to avoid saying bad words. If Murray really wants to bag on America, he could point out that Kinder Eggs are banned here too. Murray did not delete the video from his social media and neither did Kyrgios. I reached out to Kings Island for comment and will update when I hear back.